What Happened To the "Big Dogs" of Men's College Soccer this year? It's hard to believe that all big names in Division I Men's College Soccer are not going beyond the NCAA Third round. What happened to Brown, Notre Dame and St. John's programs?...Well, Wake Forest, Akron and, hopefully, UCLA(still playing UC Santa Barbara right now) will keep the presence of the traditional programs alive in this year's championship. Definites for the Quarter Finals are now Drake, Tulsa, Akron, Wake forest, Virginia, Maryland and North Carolina. 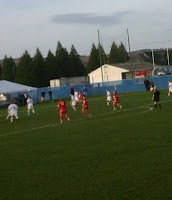 The finals of the NCAA Men's Soccer Championship- 2009 will take place December 13th 2009. 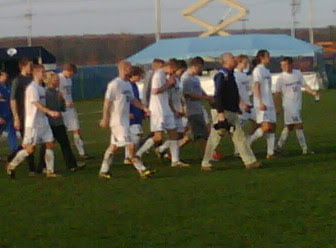 *For more about the NCAA Division I Men's Soccer championship, visit NCAA website at http://www.ncaa.com/sports/m-soccer/division_i1.html . Click Here to Read More..
Labels: This article is as of Sun.11/29/09 9:44 EST. Now and always... HAPPY THANKSGIVING!!! 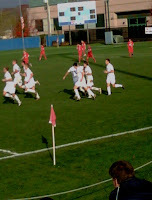 Click Here to Read More..
COLLEGE SOCCER- St. Louis University( SLU) Men's Soccer Team are the 2009 ATLANTIC-10 Champions!!! 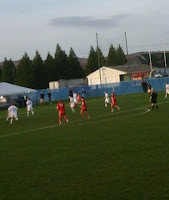 At Rhode Island University, today, St. Louis University won the Atlantic-10 Championships against Dayton University with a 2-0 score. First goal scored by No.5, Michael Robson, at the 58 min. 38 sec. mark and the second goal scored by No. 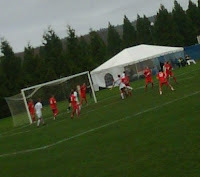 10, Mike Roach at the 87min. 34 sec. mark. Labels: All pictures taken by Florence M.
Is The New England Revolution About to Surprise the MLS league like Sky Blue FC surprised WPS League, 2009? go ahead and win this year's MLS finals ... well, that's my prediction. What do you think? Many countries scramble for the rare opportunity to host the World Cup or even most recently voting for which country would host the 2016 Olympic games took place, an award that went to Brazil. I am of the view that one country or entrepreneur that chooses to take on this challenge of building the world's International Soccer Museum will have undertaken one of the most phenomenal ventures the world has ever imagined!!! What the museum would comprise of? Believe me, the ideas are infinite; but first, who will grab and take off with this vision? The world is waiting!!! * Here are some famous national museums just to mention a few... National Soccer Hall of Fame and Museum http://www.soccerhall.org/ (NewYork, USA); estádio do Pacaembu (São Paulo, Brazil); the Scottish Football Museum at Hampden Park( Glasgow, Scotland), etc... Click Here to Read More..
SOCCER HEAT- WAVE RISING IN MASSACHUSETTS THIS WEEKEND! 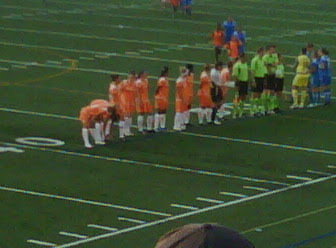 It all begins with the Womens' Pro game tonight starting 6:00pm at Harvard Stadium, in Cambridge. Boston's own, the Boston Breakers, face New Jersey's FC Sky Blue in yet another match whose outcome will significantly affect either teams' current standings in the 2009 Women's Professional Soccer (WPS) league. This will be the last time the two sides play each other before the playoffs next month. Can't get to the Stadium tomorrow? Just enjoy the game in the comfort of your own home or with buddies at your favorite hang-out place...TV Sports channels, ESPN2 HD, ESPN2 and Fútbol, among others, will be bringing this game to you LIVE starting 5:00pm EST! Smoky Soccer weekend... ain't it? 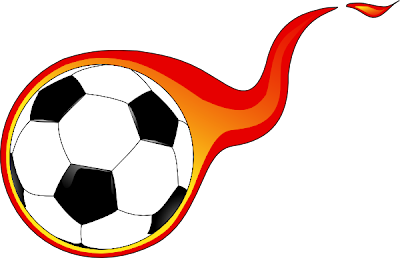 Click Here to Read More..
Do you have interesting ideas and views on Soccer? It's time for you to share them with other SoccerFloFlo fans by submitting a simple article that will be featured as a blog post on this blog...short, precise and clear is all it takes. Depending on how many articles are waiting, your article will be posted in the order it was recieved. E-mail your articles to us at fdk08m@soccerfloflo.com . We will give full credit to the articles' writers, so provide with brief personal details you want us to include on the post. Click Here to Read More.. The two Women Soccer teams meet this evening at Harvard Stadium here in Cambridge, Mass. Who takes it to the next level? Just be there today at 6:00pm to watch the two teams, Boston Breakers and the Jersey girls, FC Sky Blue retake on each other!!! Click Here to Read More..
A Historical July 26th at Gillette Stadium- Massachusetts!!! VS Inter Milan ( FC Internazionale Milano)!!! (even critics and sceptics) this will be a thrilling experience. Lots of anticipation surrounding not only the game but the celebrity attraction. Planning to go? Good luck on the traffic and parking. Food??? Great food and drinks are a guarantee at the Gillette Stadium; and food shortage? That's not in their vocabulary... JUST SHOW UP!!! Click Here to Read More..
That the United States made it to the final of the Confederation Cup and managed to stand up to Brazil with two goals is such an outstanding perfomance! It is sad that the US lost by just one goal, but even then, a great landmark was reached in the History of this team; so here's to the 2009 Confederation Cup Ist Runners up... it's just the beginning and not the end!!! Click Here to Read More..
COULD THE US' LATEST INTERNATIONAL SOCCER SPOTLIGHT ATTACT MORE CORPORATE SPONSORSHIP FOR THE SPORT BACK HOME? Given the United States' latest international achievements and presence- not only in the Confederation Cup final with Brazil, but also in the World Cup 2010- one cannot hesitate to hope and speculate that all these events will enhance the image of the Sport back home. Soccer is still one of the lowest paying Sports on the side of players compared to other Sports and this is most likely due to its low Corporate Sponsorship base other factors held constant. Hopefully the US team's international performance will give Corporate Sponsors morale to invest in the Sport here in the US. Looking forward to that dynamic move! Click Here to Read More.. 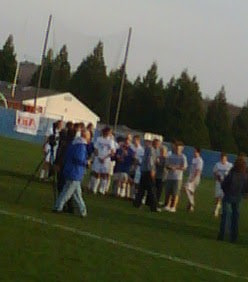 RHETORIC... " WHAT IF ALL WOMEN SOCCER PLAYERS WERE MODELS...?" ...Just restating someone else's question... "What if all women Soccer Players were models?" That is the question the presenter of these pictures posed... Views about this are unlimited... share your opinion!!! Game ended 1:1. Revs. Managed to contain game despite losing one player who was Red-Carded in the first half! 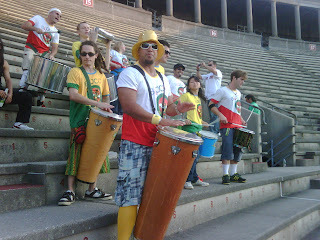 Salute to the Revs!!! Click Here to Read More.. Happy Fathers' Day to all Dads out there!!! Click Here to Read More.. Despite the mixed feelings that surrounded the newly formed US Women's Professional Soccer League (WPS), sceptics are about to be proved wrong because the league is taking off in full gear. It is very likely that this time it's growth is irreversible. Willing to start "simple" and "small" (considering its realistic budget coupled with its low, manageable number of teams) are some of the most brilliant strategies this league has undertaken. With the current rapid increase in the young female Soccer talent at all school levels in the US, the WPS offers great career opportunity and prospect in the short and in the long run. There is a definite future for the WPS!!! * Learn more about the WPS at http://www.womensprosoccer.com/. It's "buy and sell" time again. For most European teams and fans, this is one of the most crucial decisions to be made. It could cost or redeem a team depending on how wisely they make their transactions. Real Madrid, Man. United, just mention a few... are some of those teams whose decisions are about to make a big difference- positive or negative. We are watching!!! Click Here to Read More.. It's all in the eyes of the beholder.... What's your opinion? Click Here to Read More..
MLS recieving $10M for David Beckham to stay with AC Milan just for the remaining part of the Italian season; why not? I think MLS made a good deal on this and the great thing is Beckham gets to return and play for the rest of the MLS season. What better strategy could be undertakien? Wise move MLS... very economically smart!!! Click Here to Read More.. It's amazing how this great Soccer player could end up in such a dilemma at such a crucial time in his career. He himself is not sure about his own feelings about his future with Manchester United... I hope he doesn't wake up to a shocking surprise! Click Here to Read More.. This year's MLS teams are alot tougher than I have seen them in the past and that is exciting. Although there's increasing vandalism among the players, one can observe the dynamic increase in tenacity, momentum, tension and unpredictability in most of the games which gives the Sport a greater appeal now than in the past. I hope this continues to grow as the season goes by! Click Here to Read More.. I was just thinking about the new US Women's Professional Soccer league and its prospects. There's as much pessimism about it as there is optimism. Rome was not built in a day and it's only wise not to despise humble beginnings. The underground hard work will eventually pay off. It's a matter of patience and time. Click Here to Read More..
South Africa 2010 is only a few months away. The whole world cannot wait for the golden moment! It is even more exciting that, for the first time, the African continent will host this event. This cannot be taken for granted. Soccer, like other Sports, is one of the most international binding forces. It brings people from all backgrounds in one accord, in such an astounding way. Could this be a signal to Africa that the world is challenging the African people to come out of their small world of "divisionism" into the recognition of Peace, Renewal and Empowerment? Arise, O African nations, to this great call... your freedom lies nowhere else, but in your very hands- you either embrace it or continue to struggle against each other in vain. Harken to this beckon!!! Click Here to Read More.. It's time for Major League Soccer to consider alternatives to the current crisis, before the young and upcoming Soccer talent gives up hope on, and consideration of the Sport. Click Here to Read More..
Want to take Soccer to another level? Join the party right now! It's time to talk Soccer... veteran stars, players, fans, agents, managers, promoters, league-managers, name it- even critics...welcome to the table!!! Dining with those minds that appreciate and love, but also those minds that actually despise the Sport with such a passion! How about the young, up-and-coming Soccer stars? This is your chance to share your views, concerns and questions and to also learn from a diverse spectrum of experts. One hint of caution; do not let go of your judgement stand! You think you have what it takes to bring Soccer to another level? Share your views, comments and ideas right here and right now. Welcome aboard!!! Click Here to Read More..